kyaaaaa~! XD XD XD! i love it when sebastian makes sweets! 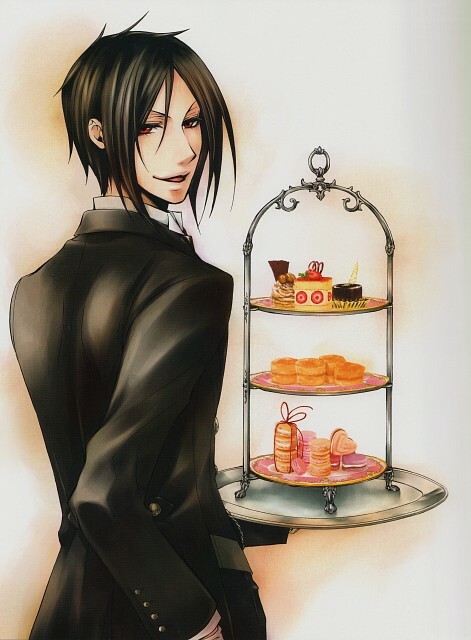 I do want Sebastian as my butler...he is capable of doing anything! ^^and sweets! Ahh! Anyways, thank you for sharing! they sees to be eating sweets all the time, don't they? Sebastian and cake...seriously. What are you trying to do to me? I sure love sweets and so does cie with all those delicious cakes! What's up with all these swqeets in these pictures though? I love how the colors came out. Thanks so much for sharing!